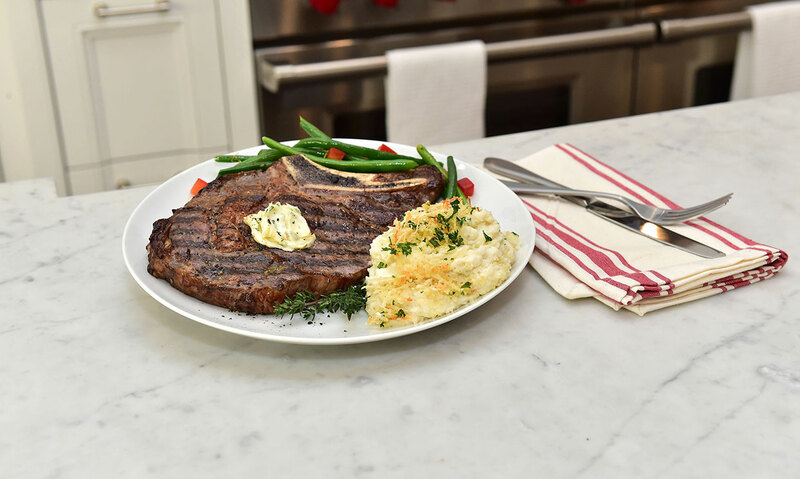 Garlic, cheese, and potatoes – you can’t go wrong. 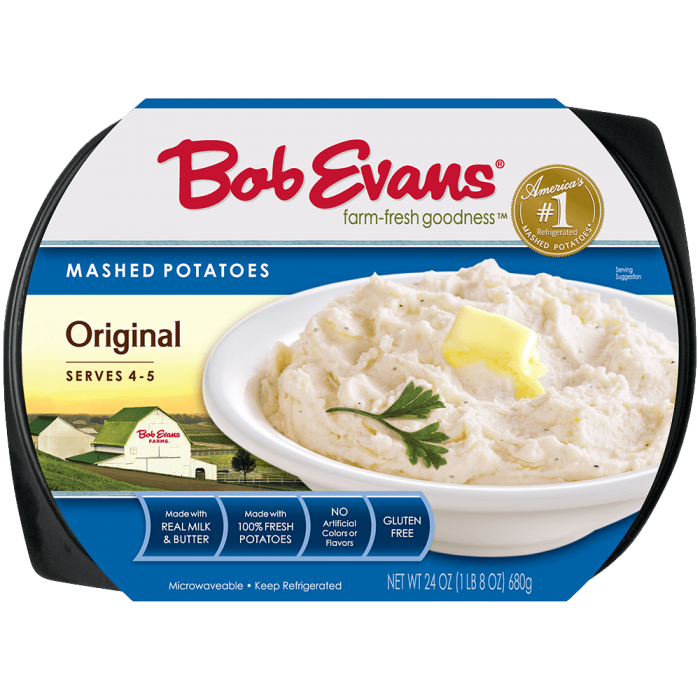 Remove board overwrap from Bob Evans Original Mashed Potatoes and peel back corner of film. Microwave on HIGH power for 3 minutes. Carefully pour mashed potatoes into mixing bowl. Add Garlic Herb Cheese Spread and stir until combined. Pour potato mixture into a greased 8x8 baking dish. Set aside. In a separate mixing bowl, blend together ingredients for the topping. Sprinkle topping mixture on top of potatoes. Bake uncovered for 25 -30 or until panko is lightly browned. 1 Preheat oven to 375 F.
2 Remove board overwrap from Bob Evans Original Mashed Potatoes and peel back corner of film. 3 Microwave on HIGH power for 3 minutes. 4 Carefully pour mashed potatoes into mixing bowl. Add Garlic Herb Cheese Spread and stir until combined. 5 Pour potato mixture into a greased 8x8 baking dish. Set aside. 6 In a separate mixing bowl, blend together ingredients for the topping. 7 Sprinkle topping mixture on top of potatoes. 8 Bake uncovered for 25 -30 or until panko is lightly browned.